Brigitte has to stay an extra week in Germany and take care of her father. We hope she will be back on the island at the beginning of June. Our manager Wit, our vet Dr. Sith, Jay and Sven in the office, Sybille and Julia from Germany, our outside-Team Jay, Linda and Tom, all our volunteers as well as our team of helpers are giving their best to keep things running and provide the best possible care for the many daily emergency cases and the huge number of dogs and cats who are currently being treated at our shelter. 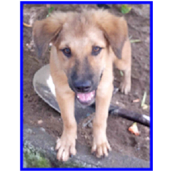 We are thankful for every donation and food donation (especially puppy dry food) is greatly appreciated. 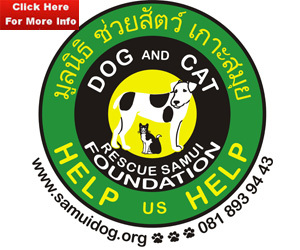 A big thank you to the Pet Shop in Lamai for their generous food donation! Like these three beautiful puppies (they stay at our office in Chaweng) who came in only yesterday, we have many little -and about 200 adult dogs at our shelter who are waiting for a new home. We have all ages, sizes and colours, all fully vaccinated and neutered. 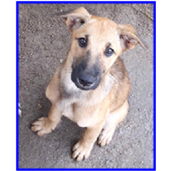 If you adopt a puppy or an adult dog from us, operations, treatment, vaccinations and medication is all free for the rest of its life. 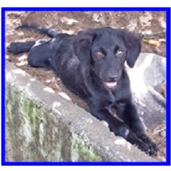 Please call us or come by our office in Chaweng or the big shelter in Baan Taling Ngam if you think you can help by giving one of our many souls a new home – THANK YOU! Thank you very much for all your help. We hope we can count on your continued support so that we can make even more progress in the future. 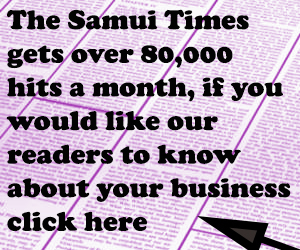 We believe our efforts to make Koh Samui more animal-friendly have made it a happier and safer place for tourists, for which the tourists are grateful. Our four-legged friends are most grateful for your contribution!